To Ting Cui and Ryan Dunk who both qualified for Nationals. Ting placed first in Junior Ladies at Eastern Sectionals, while Ryan placed 2nd in Junior Men. Nationals will be held Jan. 4-7, 2018 in San Jose, Calif.
5:30-8 p.m. Thursday, Dec. 14. We'll send off Ryan and Ting, plus have an exhibition of club skaters -- sign up at the rink. It's the last night of club ice in 2017. Open for friends and family. Bring a treat to share; club will provide drinks and pizza. Please note: No freestyle sessions Dec. 14. Warmup for performers 5:10 to 5:20 p.m. Exhibition starts at 5:30 p.m.
Emi Williams, pre-Juvenile UD Synchro Team, 4th place; Matilda Trimble, Juvenile UD Synchro Team, 4th place; Holly Levy, Intermediate UD Synchro Team, 4th place. 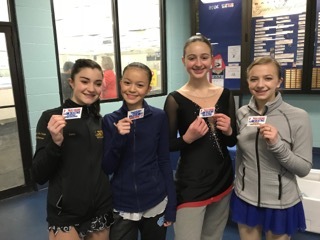 Boston Synchro Classic -- Emily Feldman and Sophie Soltanian, 3rd place with Novice DC Edge; Matilda Trimble, 3rd place with Juvenile UD team. South Atlantic Regionals -- Ivy Liu 1st in Novice Ladies C, 3rd overall in Novice Ladies final round; Claire Sanses 9th in Novice Ladies D; Maya Jones, 3rd in Intermediate Ladies E, 27th in ntermediate Ladies final; Grace Kearns 7th in Intermediate Ladies D; Katie Koster 8th in Intermediate Ladies B; Ting Cui 1st in Junior Ladies. Alexa Winter 6th in Pre-Juvenile Girls C; Keira Dunn, 2nd in Pre-Preliminary Jumps, 1st in Pre-Preliminary Spins,1st in Pre-Preliminary Compulsory Moves, 11th in No-Test Girls FS; Faith Zhao 10th in Pre-Preliminary Girls Test Track FS; Ella Salvador, 11th in Pre-Preliminary Girls Test Track FS. Eastern Sectionals -- Ivy Liu, 6th in Novice Ladies; Ryan Dunk, 2nd in Junior Men; Ting Cui, 1st in Junior Ladies. Challenge Cup - Grace Kearns 5th in Intermediate Ladies Short Program A, 3rd Intermediate Ladies Freeskate A.
Mandi Koch, 2nd in Adult Bronze Ladies Freeskate; Louie Rivera 1st (only competitor) in Adult Bronze Men Freeskate; Nicolette Felts, 1st Adult Pre-Bronze Ladies Freeskate; Erin McMullen, 4th Adult Gold Ladies Freeskate. Ann Hedgebeth, Adult Pre-Bronze Moves; Kavya Uppalapati --Pre-Preliminary Moves; Maya Jones, Novice Freestyle; Emily Feldman, Killian and Juvenile Freestyle; Alexa Winter, Juvenile Freestyle; Nori Leybengrub, Pre-Juvenile Freestyle; Delayna Good, Pre-Preliminary Freestyle and Preliminary Freestyle; Gabriella Totty, Pre-Preliminary Freestyle; Diana Cheng, Novice Pairs. 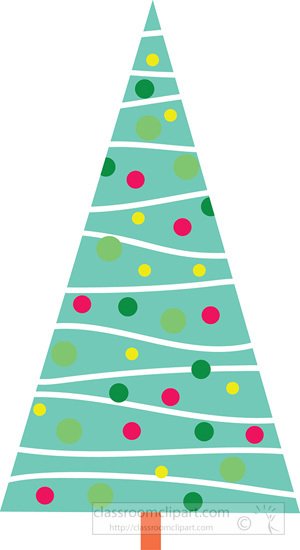 Used skate/outfit sale is noon to 3 p.m. Saturday, Dec. 9. Next test session -- 8 a.m. to noon Friday, Feb. 9.